Who will design tomorrow’s Information Products and Services? It seems that I will. 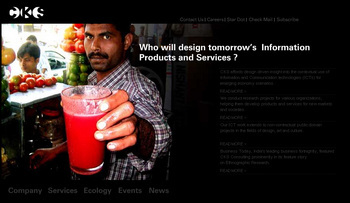 My good friends at the Centre for Knowledege Societies in Bangalore, India are not afraid of connecting this image of a juice vendor to the concept of wiring up the street. The Nomadic Banquet morphogenetic meme is breeding since DoorsEast2!